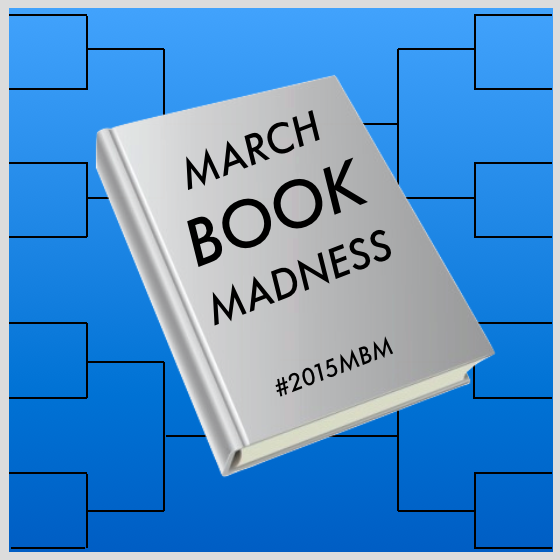 We’ll tweet out these blog posts using the March Book Madness hashtag, #2015MBM and glue our eyes to the twitter world looking for “book battles” elsewhere! This means, we need some classes to join in with us. Would your class be interested?? For struggling readers or younger students, some picture book battles would be so fun to read! Can’t do blogging? No worries! Your students can battle via a Vine, a podcast, an infographic, a trailer (if you have the time), a rap, or a #readergrams type of tweet!! Katharine, I am going to do this with my third grade reading intervention groups. I’ve been wanting something to help motivate them to read more and this might just be the ticket. My class is SO in!!! I wish we had a class blog set up because I am loving your idea for literary essays… Especially in the fifth grade. Thanks for sharing, let the battle begin! Yay!!! Can’t wait to scream and cheer along! You will definitely see my class join in for all this book love! I am really hoping to get my class involved and do justice to this exciting book “madness”! I am thinking that we might have to focus on the picture book bracket, as those I can read each week (if I can get my hands on them)! The MG novels may not have been read by all students so I think they will take more interest and ownership over the project if they are familiar with the texts! Love the idea of practicing literary essay in a more authentic way! My class tweets @PMLStars5, so we will hopefully connect there! That’s great! I will definitely have my class follow you. Many of my fifth graders actually have been writing book battles on picture books because these are quicker to read and still have time to write a battle. Writing a blog post soon to update on book battles! Make sure to tag yours with #2015MBM and #readergrams so we can see them! This is perfect! My next writing unit is literary essays! Thanks for the brilliant idea/inspiration! just now finding your blog and thinking forward to next year. I’ll have 4th and 5th grade readers and March Book Madness has been on my radar for the last couple of years. I definitely want my students in on this! Would love any thoughts about getting set up because I’ve only ever done it within a school before, not between schools.